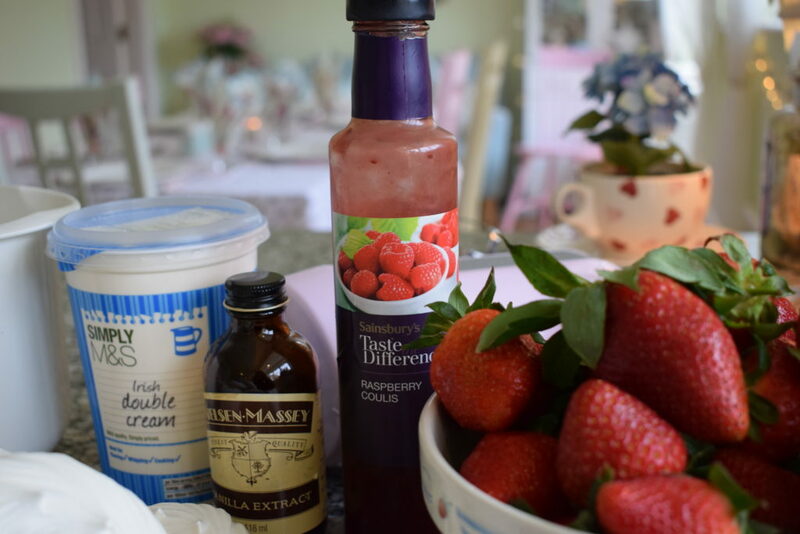 In this blog post I am also going to share some pics of my table set for Sunday lunch today as well as the super easy dessert which we had. 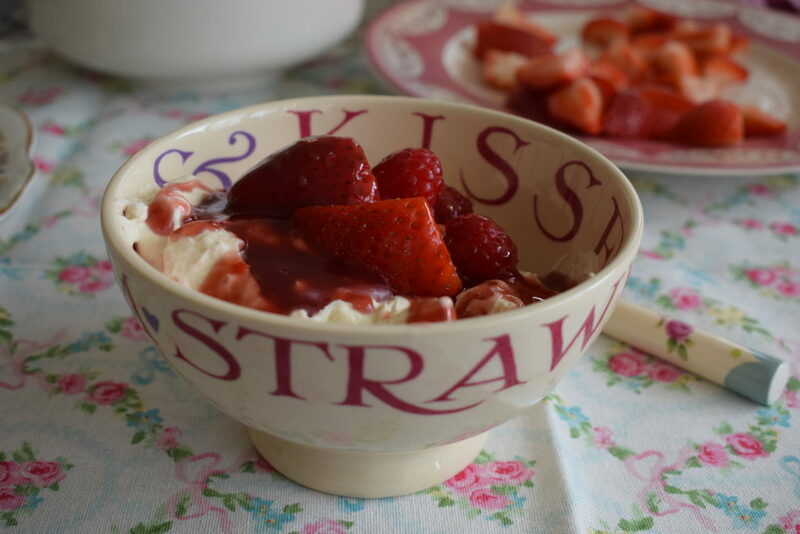 I love making desserts and have many lovely recipes but sometimes if I don’t have a lot of time and want something which can be whipped up in minutes then Eton Mess is always my go to recipe. 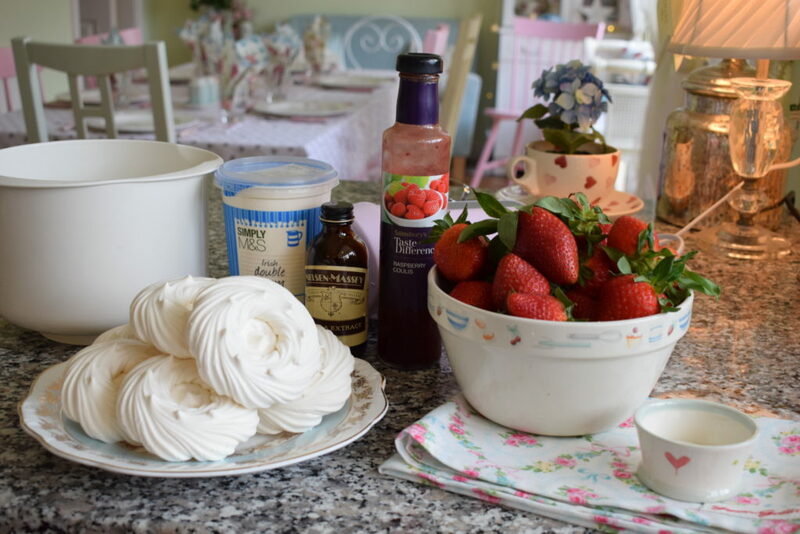 If I’ve been super organised the day before I will make some meringues but to be perfectly honest shop bought meringues do the job just as well. 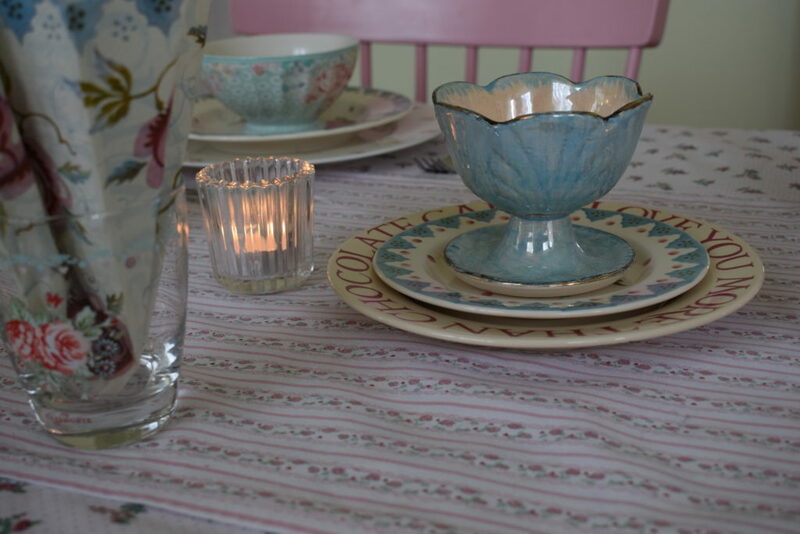 I enjoy setting the table with pretty dishes and like to mix and match all my different ones to give a pretty effect. 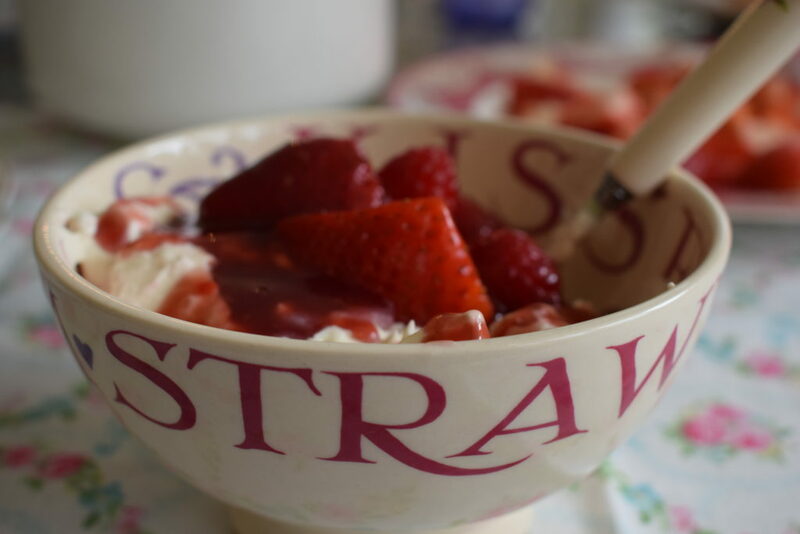 I have a collection of Emma Bridgewater and Greengate and used pieces from both on today’s table. 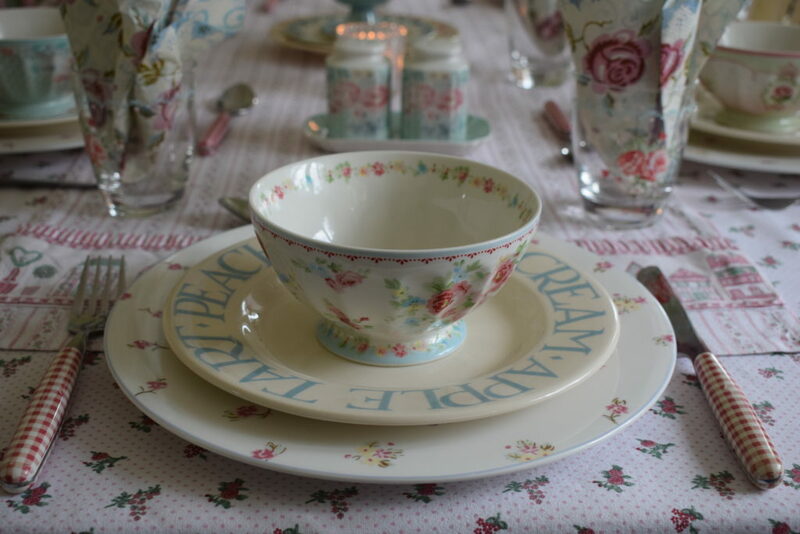 My dinner plates were from the Marks and Spencer Ditsy Floral range around ten years ago. 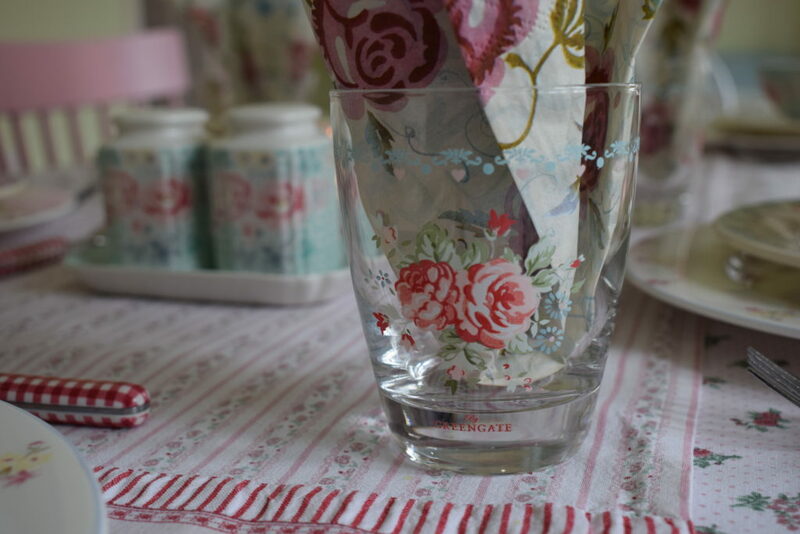 The pretty glasses are Greengate from the Abelone range and are available from Fine Nordic and the cute little salt and pepper set is also from Greengate. I know sometimes people frown upon using paper napkins and believe that a properly set table should always have linen napkins but really and truly who has the time or inclination to be washing and ironing napkins……not me anyway! 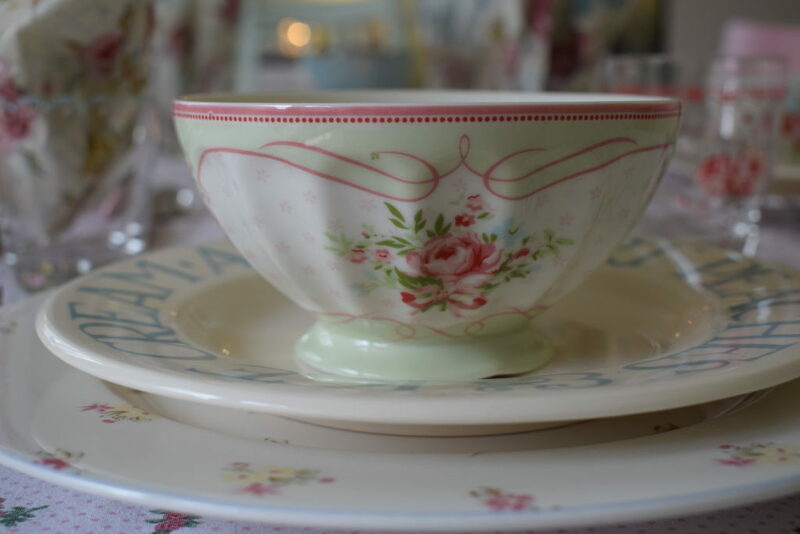 That’s not to say that I don’t sometimes use them on extra special occasions and I have some beautiful Royal Albert polka blue ones or plain white ones which look really pretty with a ribbon tied round but for normal everyday it’s paper napkins all the way. 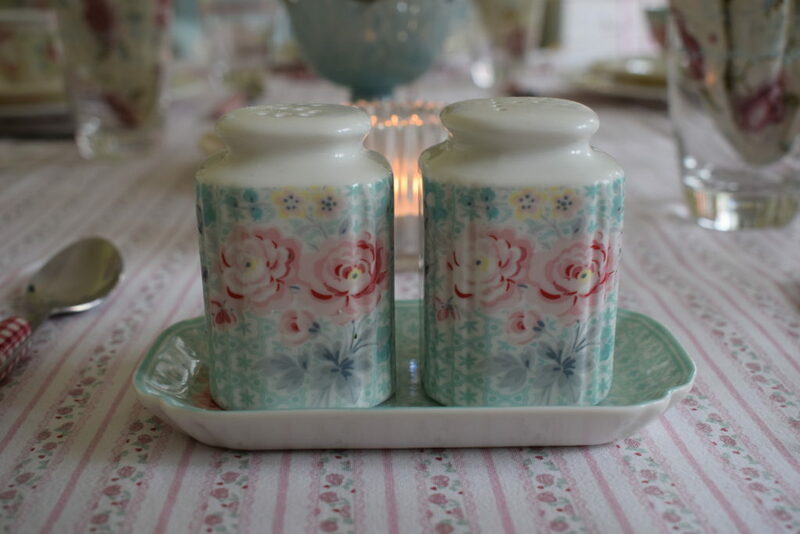 My mum bought me some Rose and Bee ones from Emma Bridgewater and I used those today. 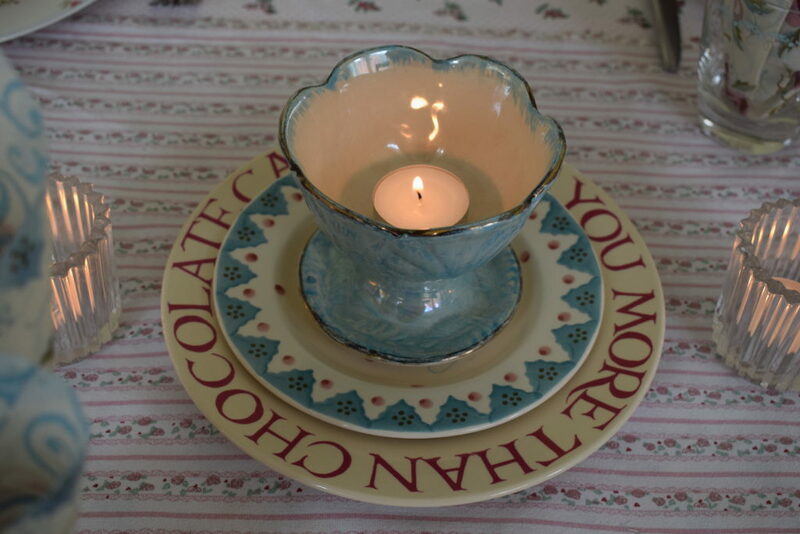 For a simple centrepiece I placed a little antique lustreware sundae dish on Emma Bridgewater plates with a tealight. The tablecloth and runner are from Clayre & Eef and feature charming little houses and trees along the border.